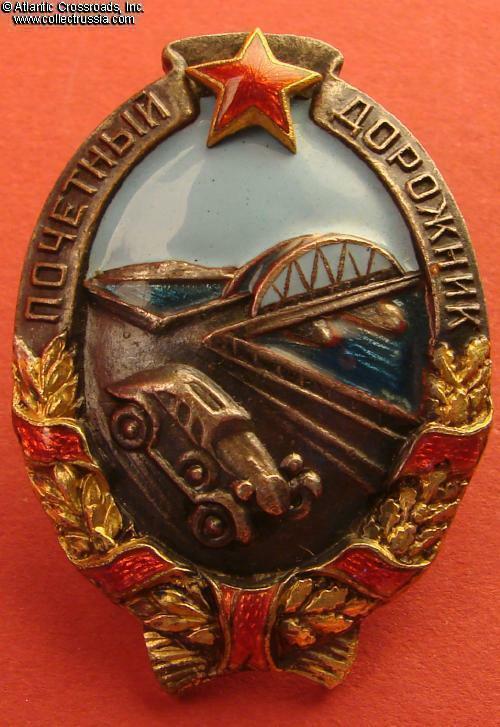 Badge of Honored Road Builder, #7304, circa late 1940s - early 1950s. 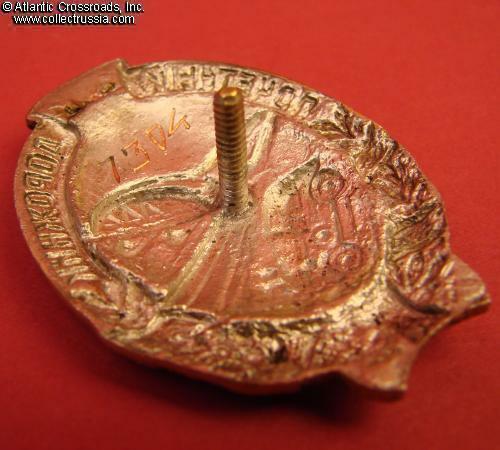 Brass, silver plating, enamels. Measures 44.1 x 31.8 mm. Two-piece construction: the star is a separate, superimposed part held by wires. 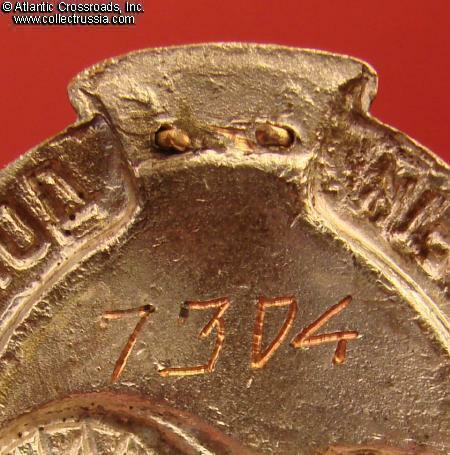 The serial number is engraved in characteristic "square" font. In excellent, near mint condition. The enamel is beautiful and pristine everywhere including the fragile red scrolls; shows none of the usual chips, flaking or buffing. 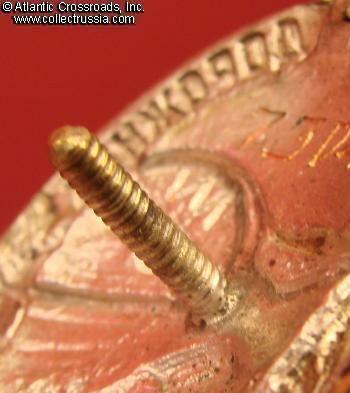 Raised details are perfect and crisp; the silver finish is completely intact - a highly uncommon case - having practically no wear even on the high points. The original gilt on the wreath and the edges of the star is beautifully bright. The silver plating on the reverse of the badge is pristine. Comes with original screw plate maker marked "Moscow Artists Cooperative" and a washer probably added at a later time for extra protection. 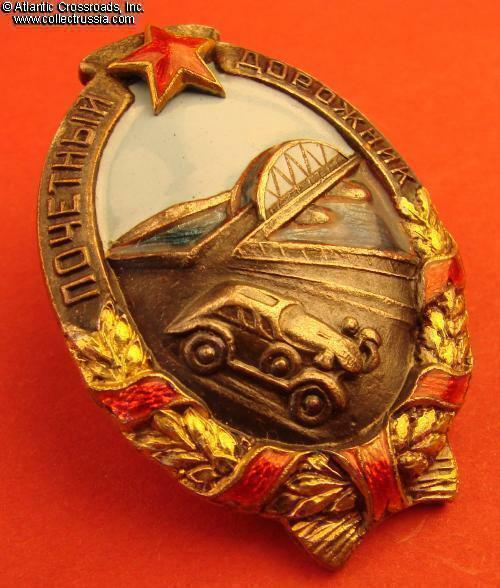 From 1935 through 1953 all major road building in the USSR was under direct control of NKVD (MVD) which supplied ample slave labor for the construction projects. 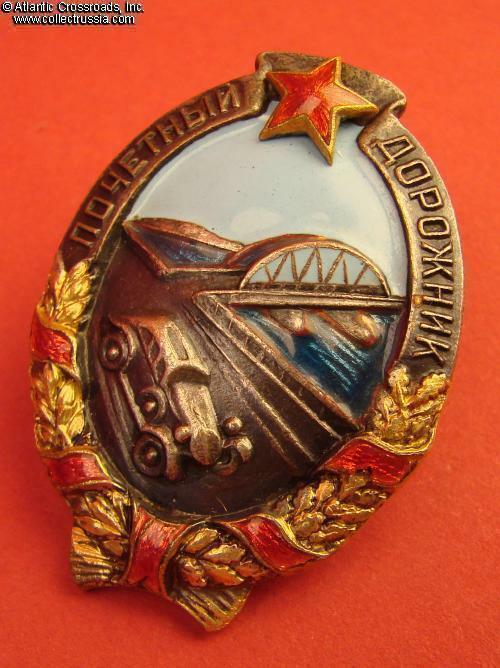 The NKVD and its Gushosdor Agency awarded the "Honored Road Builder" badges to best engineers, managers and even some of the "rehabilitated" prisoners. 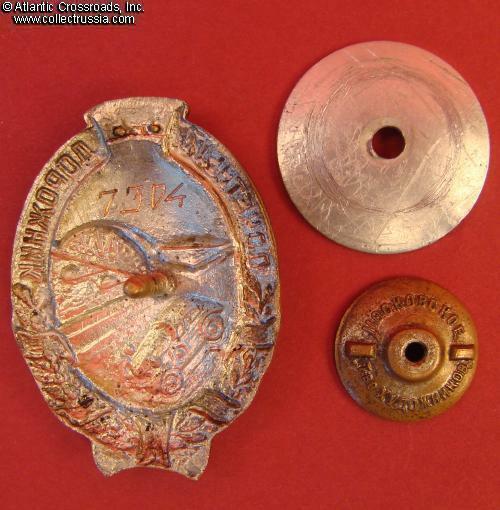 /"History of Awards and Insignia of Russian MVD, 1802 - 2002 p. 108, fig. 1.2.3.34, also "Avers 8" p. 139 fig. 710c/.